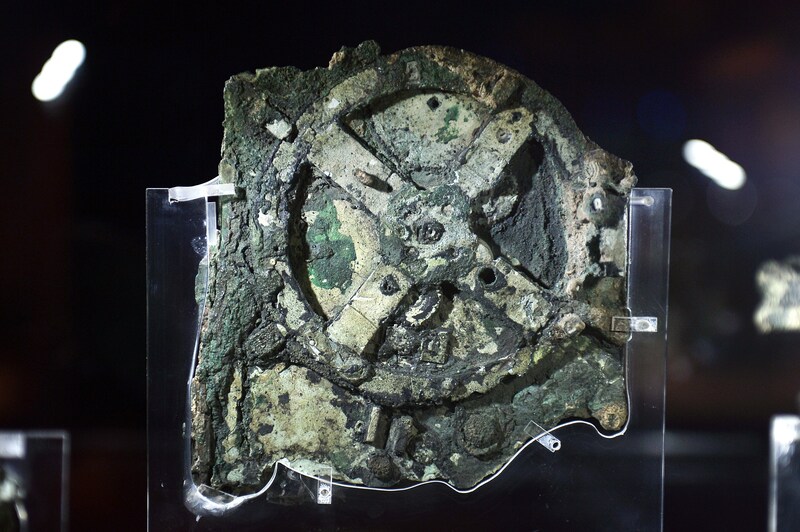 Scientists have heralded the Antikythera mechanism, recovered in 1901 from a shipwreck dating to the first century B.C., as the world’s first computer. Ancient Greeks apparently used the stunningly advanced device to chart the movement of the sun, moon and planets. 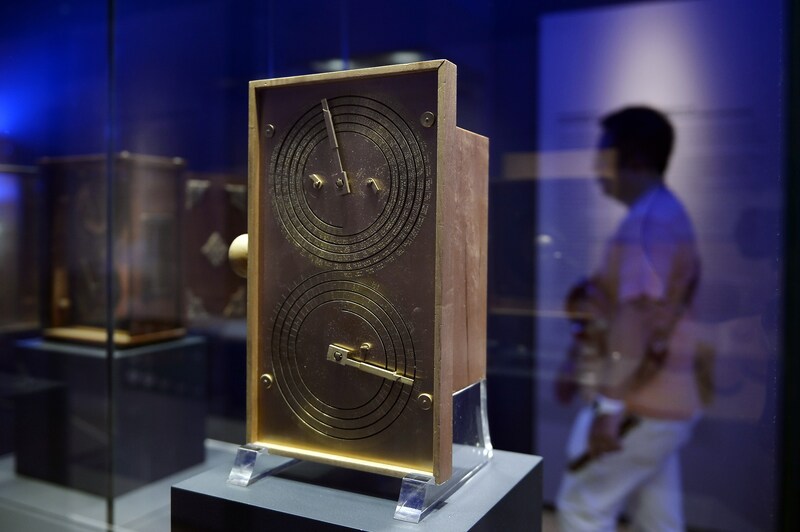 Now, after employing cutting-edge technology to decipher thousands of minute characters engraved on the Antikythera mechanism, researchers believe the device might also have been used for a less scientific purpose–predicting the future. After Greek sponge divers stumbled on the wreck of an ancient ship off the coast of the island of Antikythera in 1901, excavations recovered a massive haul of treasures including glassware, ceramics, furniture, jewelry and statues of both marble and bronze. By far the most stunning artifact recovered, however, was a mangled, fragmented jumble of bronze gears and plates, all encrusted with centuries’ worth of sediment. Dating to the first century B.C., the so-called Antikythera mechanism stands as one of the most exciting archaeological discoveries ever made. It has been called the world’s first mechanical computer, showcasing the engineering prowess of the ancient Greeks as well as their impressive knowledge of astronomy. Nothing else like it would emerge for more than 1,000 years. Though the physical workings of the gears and other parts of the multi-layered mechanism are well understood, scientists have long been puzzled by the thousands of characters engraved on the inside covers and front and back sections. They suspected the text might contain some kind of operating instructions or user’s manual for the device, but with some of the letters measuring just 1.2 millimeters (or 1/20 of an inch) tall, the text was impossible for them to decipher. 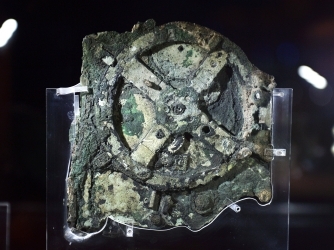 The Antikythera Mechanism known as the world’s oldest computer. But after more than a decade using X-ray scanning and other cutting-edge techniques, an international team of researchers has been able to decipher about 3,500 characters of the explanatory text carved on the Antikythera mechanism. It was painstaking work, as the researchers were forced to examine dozens of scans in order to read each tiny letter. Earlier this week, they announced their findings in an event held at the Katerina Laskaridis Historical Foundation Library in Athens. What Jones and his colleagues discovered in their analysis confirms much of what we already know about the Antikythera mechanism, but adds some intriguing new insights. In addition to serving as a solar and lunar calendar, showing phases of the moon as well as the position of the sun, moon and planets in the zodiac, it appears that the device was also able to predict the color of a future eclipse. 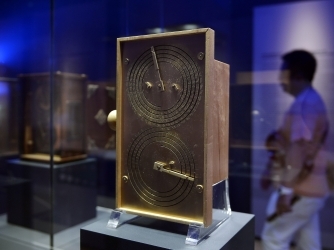 Though no maker’s signature has been found on the Antikythera mechanism, the researchers found that the device was probably made on the Greek island of Rhodes. They also don’t think it was the only one of its kind made, though no others have been found to date. Slight variations in the inscriptions suggest that at least two people worked to construct the device, and the researchers think it came from a small workshop, rather than an individual craftsman. So far, the researchers say, they have been able to decipher most of the characters on the mechanism’s 82 surviving fragments, which is believed to be a quarter of the original text. They’re still holding out hope that future excavations of the Antikythera shipwreck will be able to recover the remaining inscriptions, which are presumably still resting at the bottom of the sea along with at least 20 additional gears used to power this remarkable ancient machine. Who Said the Ancients Didn’t Use Supercomputers More than 2,000 Years Ago?